Venice museums reopen after the worst flooding in the past decade. 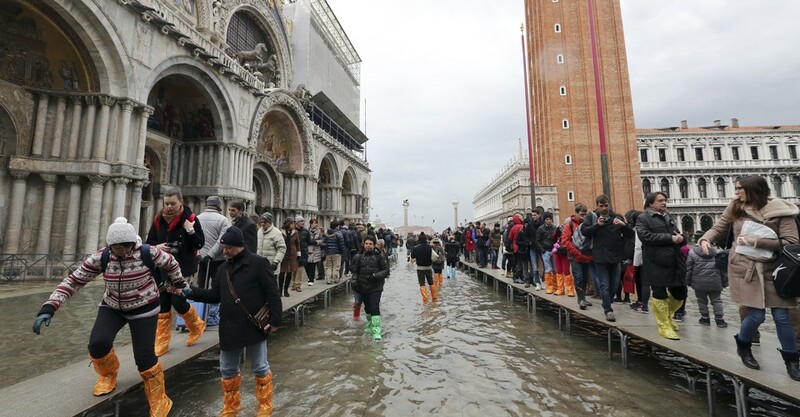 It happened less than a month after UNESCO warned about dangers Venice may face due to climate change, Artguide writes with a link to Artnet. Some pavilions of the Venice Architecture Biennale and museums run by the Foundation Musei di Venezia were closed for the public. Eleven museum institutions, including Saint Mark’s Clock Tower, the Glass Museum, the Lace Museum and others were closed. Local cultural institutions have not been damaged by the flood, according to the latest data. Though floods are not unusual for Venice, and the city and its cultural institutions are well prepared for “acqua alta”, climate change and the melting of polar ice caps lead to sea level rise, putting port cities in danger of becoming submerged underwater. Other cultural sites across Italy, including Pompeii and the Colosseum, have been closed due to severe weather. Venice hopes to prevent future floodings by building underwater barriers that would be raised when tides are dangerously high. But the €7-billion project called MOSE (Mоdulo Sperimentale Elettromeccanico), which was to be completed by 2022, has been marked by corruption. The project is now behind the schedule, with its initial budget exceeded.